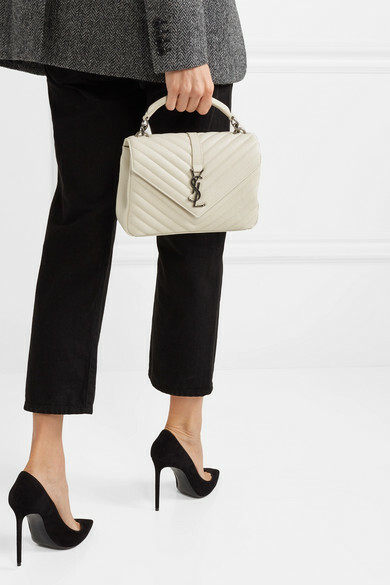 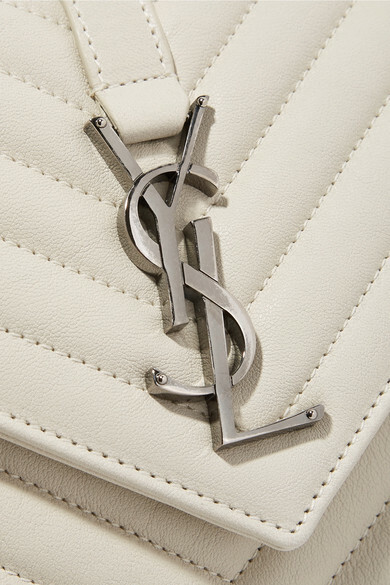 Saint Laurent's 'College' bag is an investment that will stand the test of time - it comes in an versatile ivory hue and has been crafted in Italy from the finest leather using time-honored techniques. 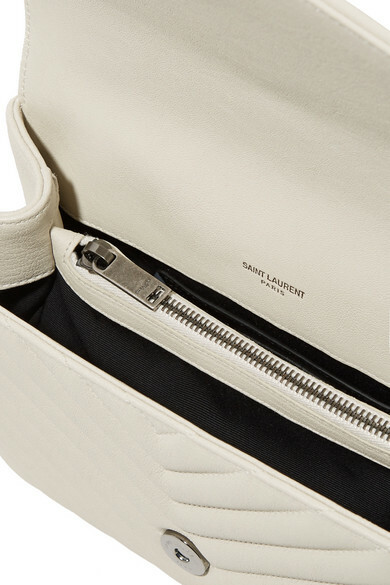 The twill-lined interior has enough room for all of your essentials and is separated into organized compartments. 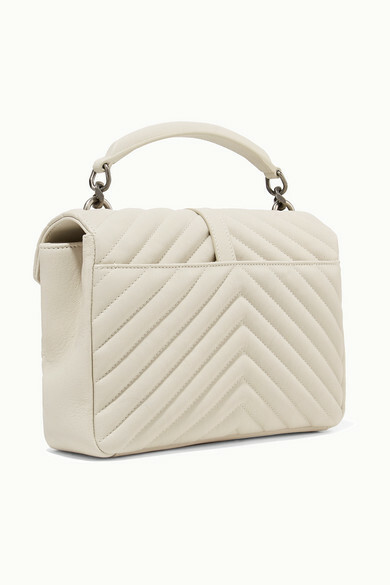 Carry it as a tote or attach the chain-embellished shoulder strap to go hands-free. 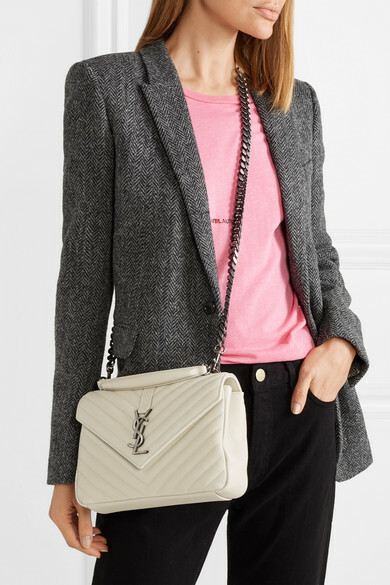 Shown here with: Saint Laurent T-shirt, Saint Laurent Blazer, Saint Laurent Jeans, Saint Laurent Pumps.